Now all that’s left to be done is getting ready for our ‘push-the-button’ party. Like, cleaning the office and reminding everyone that we will be livestreaming this big moment. You too are welcome to join us on Twitch. The more, the merrier. TUESDAY 17 MARCH at 21pm CET (1pm PDT). But this is not the end of Woolfe, of course. We still have a lot to be looking forward to. Like the tier rewards for our backers. And… the second part of the game, for example. We really do depend on you guys. The better our sales are, the better our next game can be. We’re really looking forward to finally seeing our hard work paying off and to our game being enjoyed by many. And as always: We’d love to hear from all of you. Since we were unable to provide a new build last Tuesday, we’ll have a big one today! It’s only 18 more days before the big release and it’s ‘all hands on deck’ right now. Let’s have a look at what’s coming up and what we’ve been up to, shall we? Next Tuesday, March 3rd, it’s time for our special edition Twitch Livestream. Wim will be meeting with press in the USA all through next week and he’ll Twitch live from GDC in San Francisco. Definitely worth checking out! Exact timing to be confirmed. Granny, what nice voice you have! It was great to see so many of you have casted your votes on the Granny Voice Audition. Number 4 was everyone’s favorite by a long shot… including the devs’! It’s awesome to see we all mutually agree on this so far. We’re still receiving a lot of auditions and will close the submissions on Tuesday. Who knows, there might still be an even better Granny out there. We’ll keep you posted! Another update on the localization/subtitle front: Woolfe writer Yasmin is currently finalizing the Dutch subtitles (and she’s super happy to be writing in her mother tongue again for a change!). We hope to implement the Dutch version before the next update. Alright, time for this week’s changelog. Hi there, you early access birds! Okay… day 4 on Early Access, and what a rollercoaster it has been. 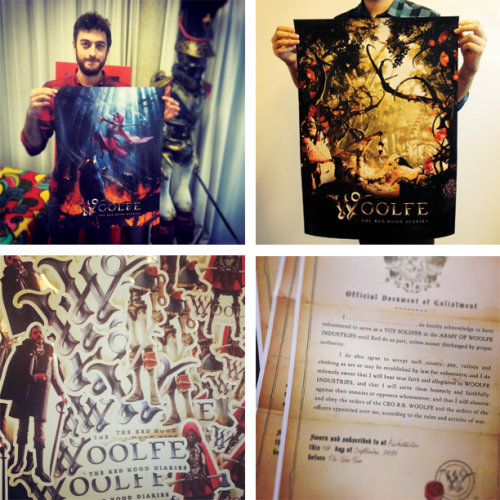 We want to thank each and everyone of you for buying, liking, sharing our Woolfe – The Red Hood Diaries. For reviewing it, for giving us feedback – you’ve been a tremendous help, really. Please report all issues here: http://steamcommunity.com/app/281940/discussions/ We’re on a mission to answer and process your questions and remarks as fast as we can (finger cramp!). 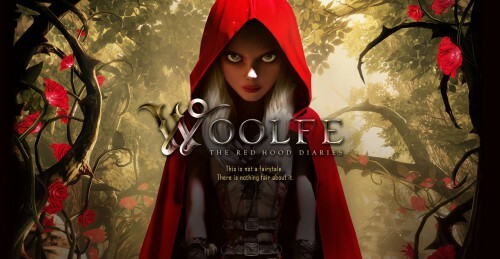 Woolfe – The Red Hood Diaries, in your diaries, right? Just a few weeks away from D-day, it’s all hands on deck in our studio – as you can imagine. And -with only a small but perfectly formed team- we need all the input we can get. Especially from people looking at the game for the very first time. Are our tutorials clear to a first-time player? Do they understand where to go in the levels and what to do? We also need help in balancing out the difficulty of the game, tracking down bugs and flaws, fine-tune level design and get better stats on known issues. So, guess what: we’re going Early Access, like… now. And we hope you’re coming with us. 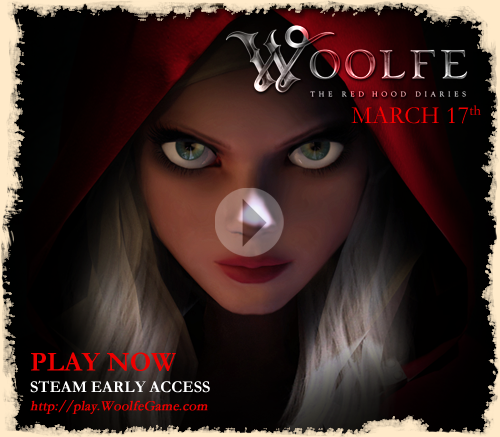 Hurry over to our Steam page and get your hands on Woolfe – The Red Hood Diaries right away! So far some 50 backers (Alpha and Beta soldiers) have playtested Woolfe and provided us with their thoughts. Awesome, but at this stage we need more eyes to scan the Woolfe universe for bugs and flaws to ensure we can fix as many as possible in time for launch. And that’s why we decided to put Woolfe up for Early Access for a few weeks, until launch. Drop whatever you’re doing and book yourselves some Steam time for a city trip in Ulrica and an exciting getaway to the forest. 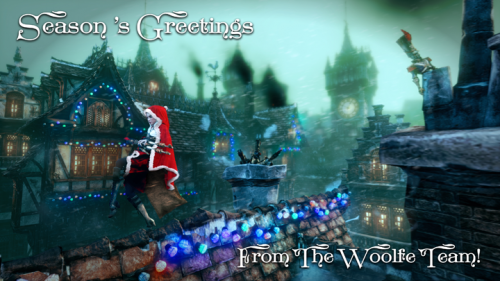 Please leave us a note, a pat on the shoulder, a bug report or a review on how you experienced your stay in the wonder world of Woolfe. We’re dying to hear what you think. Do keep in mind, we are still 48 days / 1,000 hours / a lot of polishing away from release. What you see (today) is not what you get (on March 17th), but… it’s getting closer every day. ALL Kickstarter backers now have access to the Early Access version. Go get your key at http://army.woolfegame.com/. This is where you confirmed your rewards some time ago. You should now see a new button: SHOW KEY. To all alpha and beta soldiers who have been sending us bug reports and suggestions so far: we really appreciate it, please do keep it coming! Your feedback has been instrumental so far. New in the trailer park! Of course we created a beautiful new trailer to support our debut on Steam Early Access and to announce the March release. Check it out, like it, share it! As always, a thousand times thanks for your support, you rock! Just a quick update to inform you that there is a new Alpha / Beta update available. A whole lot of issue’s should be fixed. Some new issues seemed to pop up… stay tuned for the next update soon! First off, we’d like to wish all of you the very best for the new year. May 2015 treat you well! Speaking for the GRIN team, this year is going to be an exciting, scary and exhausting one Over the past few weeks, we made some really big decisions and worked our asses off to get a new build ready for our alpha and beta backers. Let’s walk you through some news. Deliver -as promised- in spring. Keep our quality on par with your expectations. Avoid having to throw out levels and content in order to maintain the desired quality while doing so. So… We split up Woolfe into two separate, fully fledged, stand-alone yet successive volumes. Yes, it was an emotional break-up, but a necessary one. The only other option was to drastically postpone the game’s release and we really didn’t want to keep you waiting. The first volume, Woolfe: The Red Hood Diaries, will come out as planned on March 17th. We’re working on a new trailer so we can announce the launch date with a splash! Volume 2: is planned for release in August 2015. Important note: all of our backers will get BOTH VOLUMES, obviously. As a small team with finite resources, your trust and support mean the world to us. We believe this was a decision in the game’s best interest, and in yours as well. We hope you feel the same way. Beloved Alpha Army, you have just received another updated Woolfe build. Alpha backers can now play a bunch of new and updated levels, from the very beginning in the city until Granny’s house in the forest. What’s new? 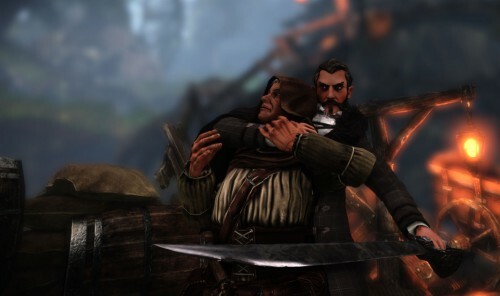 We’ve been experimenting a lot to improve the combat fun, a known issue for quite a while now. We’d love to hear what you think. We have been reworking the animations throughout the game. Check out some of Red’s new and improved moves. We hope you make it to the forest and especially our floating mountains level: a personal favourite of ours, and… a pretty challenging one too. As always, we look forward to your findings: You can use the in-game bug reporter by pressing F8 when playing. Important note: Please DO NOT post any Alpha gameplay footage or screenshots publicly yet. Alpha updates are to be enjoyed by YOUR EYES ONLY! Hey, you, wonderful Beta Army! We promised to deliver you a first try at the game in December, remember? Well, we’re a few days late, but now you finally get to experience Woolfe-in-progress yourselves. 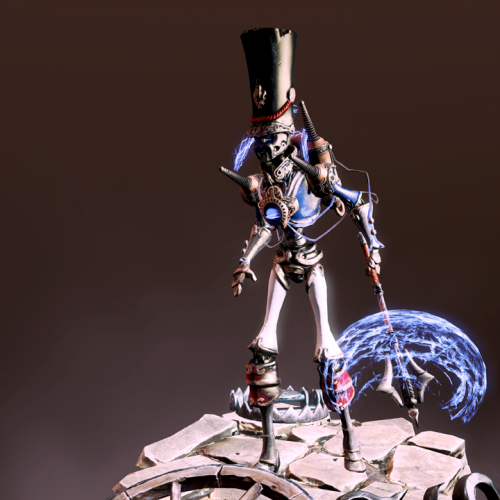 Hurry over to your Steam account, ‘cause we have a whole lot of Woolfe fun waiting for you. Explore every corner of Ulrica, from the slums, through the sewers, the residential area, the harbor and the Woolfe Industries Headquarters. Head to the forest for some surreal floating island-fun, get chased by wolves and beat up some freaky fairies along the road to Granny. PS: don’t forget to pick up the shiny blue “W”’s to unlock buck loads of additional story. We hope you enjoy the ride and can’t wait for you to tell us all about it. You can use the in-game bug reporter by pressing F8 when playing. Important note: Please DO NOT post any Alpha / Beta gameplay footage or screenshots publicly yet. Alpha / Beta updates are to be enjoyed by YOUR EYES ONLY! Countdown has begun, so… back to work it is. We look forward to hearing from you. Two weeks ago, we served you a Halloween themed appetizer. A pretty exciting moment for us, and apparently for you too: the demo earned us a “very positive” rating on Steam and a lot of valuable feedback from those who played it. The pumpkin flavoured micro levels served their purpose. However, today, we took that demo down. Not for maintenance, but permanently. Well, we don’t want to compromise the perception of the final and full game’s quality. The demo was clearly introduced as an early alpha, containing 3 micro levels and -we know- quite a few bugs. Once the full game releases, we would hate to be judged on the quality of this early phase product, for it doesn’t cover the full potential of the game. We hope you understand our choice. We loved sharing this phase in the development process with you guys, but we’re moving on now. If you were among the lucky ones who downloaded the demo before we took it offline, we hope you enjoy it: it is now officially a collector’s item! If you were too late: maybe you have a friend with a demo? Or maybe you can make a new friend (with a demo)? Or do a quick search on Youtube to see what it was all about! First of all: Happy Halloween to all of you! 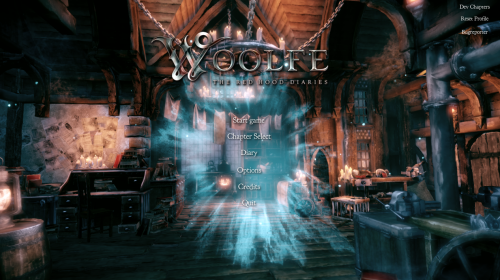 The much anticipated link to our first public Woolfe demo! 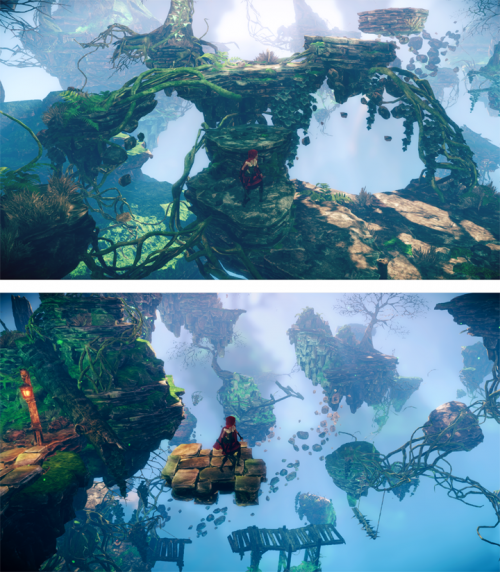 Basically, this is an alpha gameplay demo which consists of 3 micro levels, fragments of levels that will later be featured in Woolfe: The Red Hood Diaries. Please note that nothing is final (graphics nor AI, nor sound…) until the full game comes out. This demo needs to be considered as an exclusive fan-treat, a sneak preview of what’s to come. Let’s call it an appetizer. A pumpkin flavoured one. Some of you may have had the chance to play this demo at Gamescom last summer, and our alpha/beta-backers (Kickstarter) have played it too, but other than that: you’re the first fans to give it a go! We hope you like what you see and play, feel free to send us your feedback and by all means: spread the word, let Woolfe howl all around! Can I share? Can I broadcast? Yes, you can. Exclamation mark! Alpha soldiers, on your marks… A brand new alpha build will go live in the next few hours. What to expect? We have updated and polished parts of the sewer level you received earlier. We have added a whole new level: the city tutorial level, where you get to explore the city of Ulrica. Tooltips will guide you through this first part of the game. We wish the Alpha army lots of fun playing, and please feel free to let us know what you think on the dedicated Woolfe Alpha Forum. Enjoy! Start making some room on your wall… We’re making nice progress on the print goodies. 3 out of 4 posters have been designed and printed by now. Only the backer exclusive poster -which will be signed by the team- still needs to be added. The stickers have arrived and we are pleased to inform you that they are very pretty and very sticky! We have the final designs ready for the enlistment documents confirming your entry in the Woolfe Army. Now we just have to find someone to come and help us to get all this eye candy ready for sending and shipping. Any volunteers?? 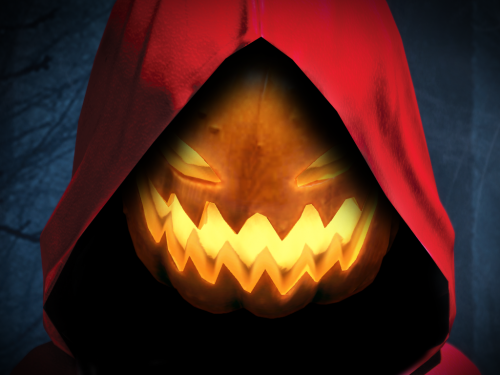 Trick or treat: check our Facebook page! With all the pumpkins, dressing up, tricking and treating going on, it simply wasn’t an option for us to ignore the Halloween craze. So we had a little brainstorm with the team and we came up with a pretty neat TREAT FOR ALL OF YOU. More on that early next week (have fun guessing over the weekend ! If you haven’t already, hurry over to our Facebook page and like it, ‘cause that’s where the Woolfe Halloween Announcement will be made public. That’s all folks, have a nice weekend!